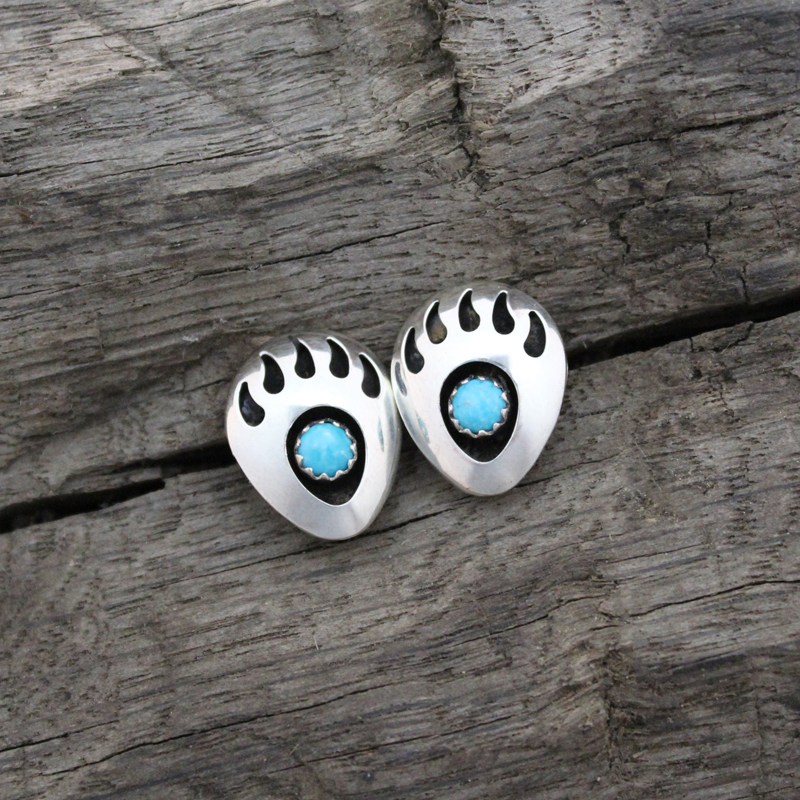 Made in New Mexico, this pendant has a cut design into to look like that of bear paws. 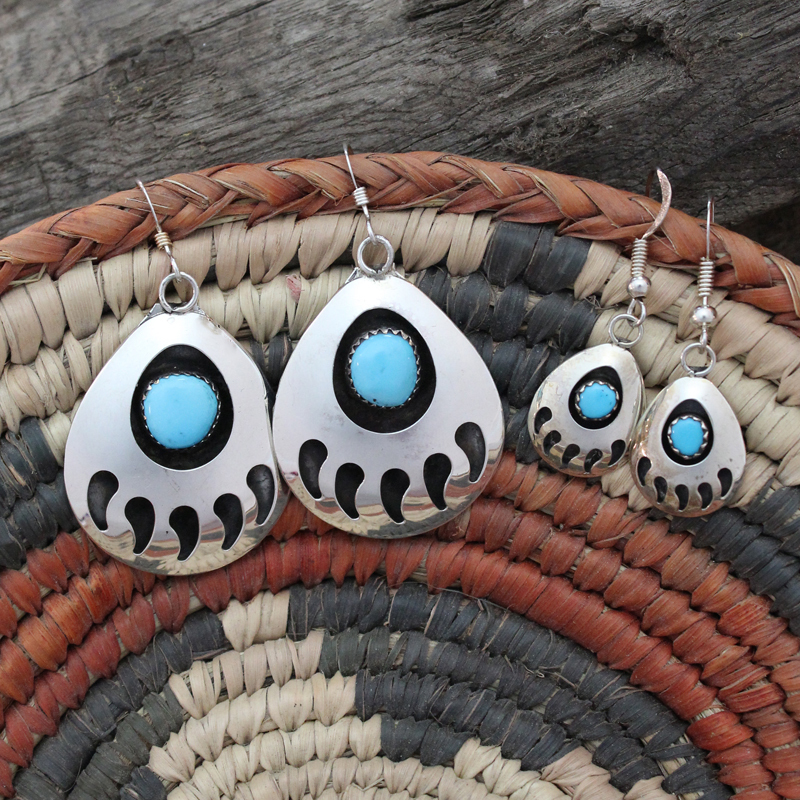 With a turquoise nugget in the center. 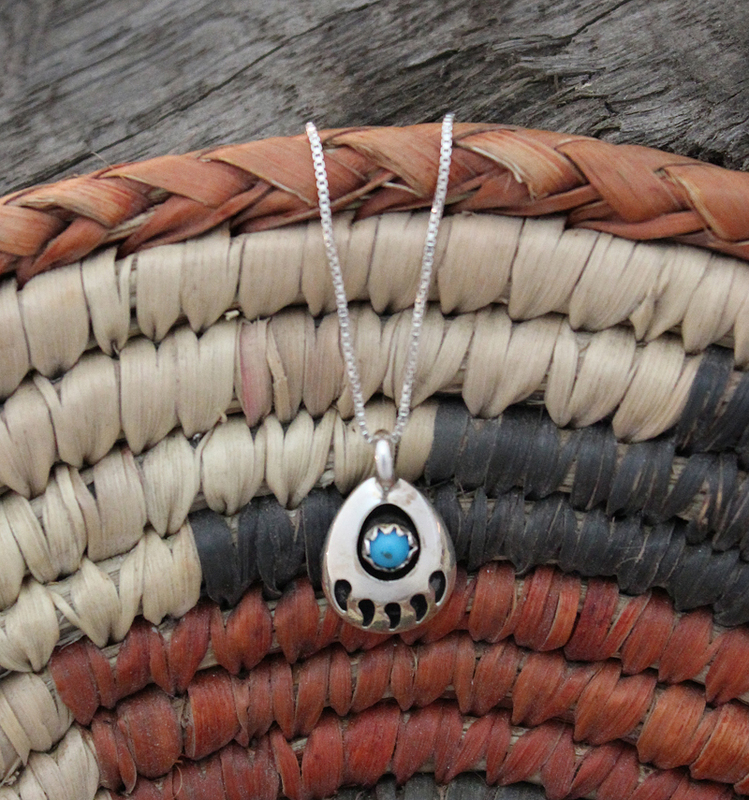 Comes on a 18 inch sterling silver box chain.